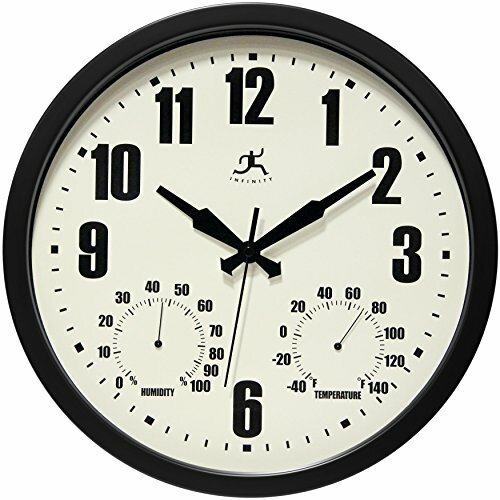 Infinity instruments Munich black indoor/outdoor wall clock features a hygrometer and thermometer and a silent sweep movement. If you have any questions about this product by Infinity Instruments, contact us by completing and submitting the form below. If you are looking for a specif part number, please include it with your message.